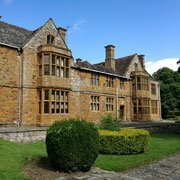 Nagarjuna Centre, based in the sleepy village of Thornby in the beautiful Northamptonshire countryside, is the ideal setting to rest, relax and enjoy a meaningful break. These rest and reflect weeks run from Sunday evening to Friday morning. Enjoy a light schedule that includes optional lunchtime and evening meditation sessions and return home rested and refreshed. We have a range of guest rooms including single, twin and dorm, all with tea & coffee making facilities. Accommodation includes breakfast, lunch and evening meal, all vegetarian. Our World Peace Café is also open from 11am to 4pm seven days a week serving speciality teas and coffees as well as hot and cold food and cakes. We have beautiful meditation rooms for all types of meditation practice from chanted meditation sessions, retreat, private meditation practise and classes. For these midweek mini-breaks, you can arrive at 4pm on Sunday and check out again by 11am on Friday. *For dormitory, please bring your own sleeping bag and towel. Please use the calendar below to select the start date of your stay. You will be directed to paypal to pay a deposit of £50, and the remainder will be due on arrival. You may also book by phone or e-mail the centre if you prefer.